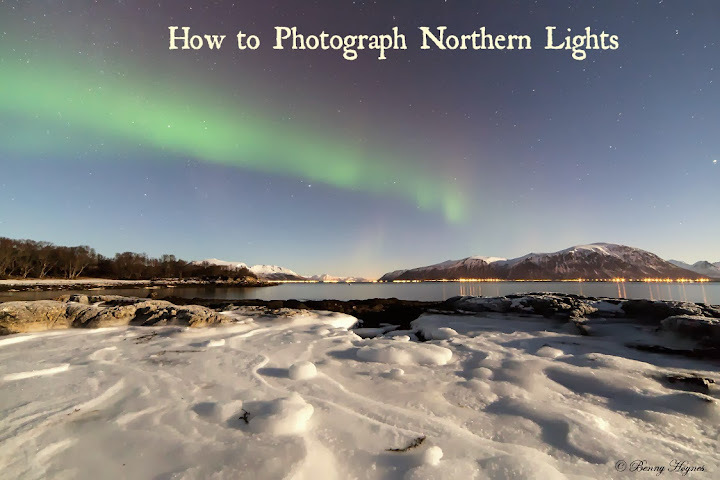 How to take photos of the beautiful northern lights. 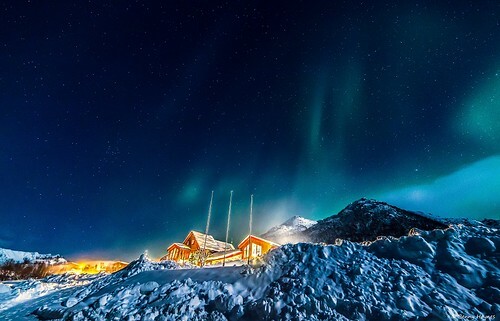 I've shared some Northern Lights photos from Norway here on Wandering Educators, and was asked to share my photographic techniques. You need a SLR camera, simply because you need to set the shutter speed manually. Compact cameras are rarely more than 15 seconds. I use a Canon 5D Mark II fullframe camerahouse, and a ultra wideangel- lense, Samyang 14mm umc f/2,8. If you have SLR, you can take pictures in RAW format (digital negatives). You must use this format if you have a editing program, such as Adobe Photoshop / Elements/ lightroom. This allows you to change the image afterward. I will not go into detail about that here. If you shoot in JPG format, the camera makes the image itself and you have no editing capabilities afterwards. 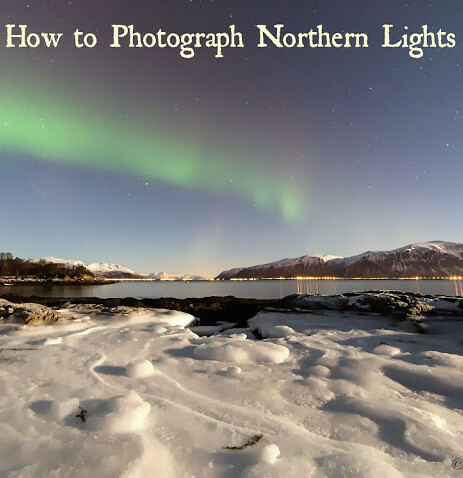 Choice of lens: The wider lens - the more northern lights get photographed. But anywhere from 10 to 50 will work, depending on how the subject looks. The brighter the lens is, the better. Mine is 2.8 but I have taken many pictures of the lights with 3.5 (which is pretty standard on many SLR packages). I also have a Velbond df 50 tripod, a “cheap” model, but good enough for my use. Also critical is a wired remote shuttercontrol, to long expose over 30 seconds. This is important simply because most SLR`s only reaches 30 sec exp, and also does not shake the camera, resulting in bad pictures. But when using the Bulb-function on camera, you can hold down the shoot button manually if you want a exposure over 30 sec, but then you can shake the camera and ruin the picture. I have a backpack made for my equipment, because my camera and lenses are often out in -20 degree C. When I am finished photographing, I put it in my backpack, and wait several hours to pick them out, because of temperature diff. out/in. Dress well. I'll say it again: Dress well! If you don`t have good enough clothes, you want to go home again... I know! Been there! 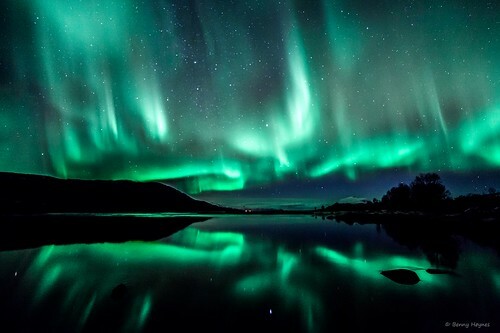 No matter how good the Northern Lights are! This is not an unnecessary tip, I can assure you. I take coffee with me, and a warm hat and gloves. 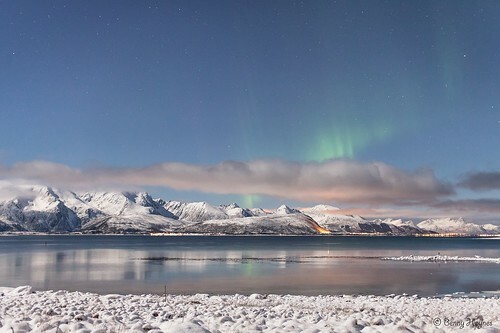 1 nov 2013 some aurora, at Andøya friluftsenter, Andøya island. 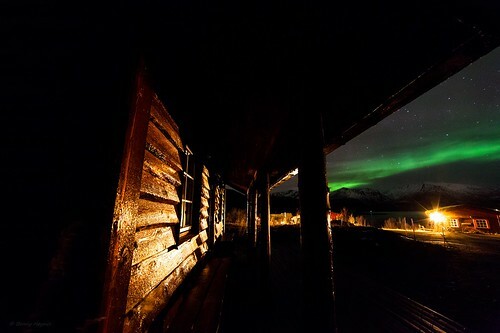 A brown cabin and green stripe of aurora. Setting the camera : Select Manual mode ( M). ISO between 400- 2500, all depends on which camera you use. A pro camera can range a much higher iso than a “cheap” model. 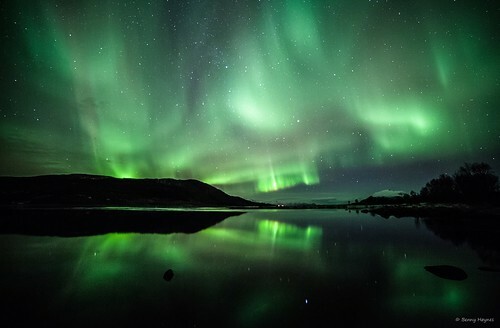 It also depends wich lenses you use, but I recommend a f/2,8 lens or lower “f”, means a better lens to catch light, and that reduces shutterspeed, which is good for catching the northern lights. The lower ISO, the longer shutterspeed, but lower noise to the picture. Higher ISO means lower shutterspeed, and more noise to the picture, so you simply have to try and fail several times before you find the “balance” that you are happy with. Jan 20. 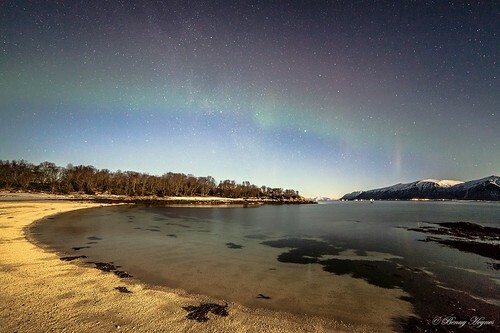 2014 Stamnes, Sortland in Norway. Around –10 degree C cold. 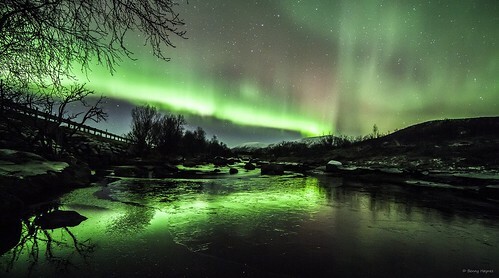 Aurora over iced rocks. Jan 21. 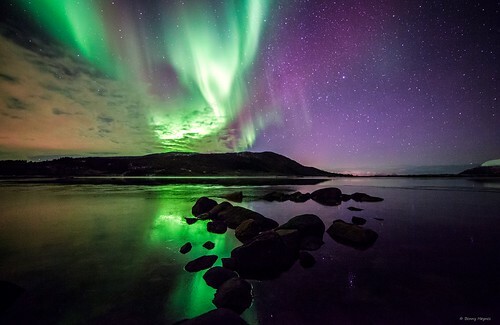 2014 Stamnes, Sortland in Norway. Around –8 degr cold. Stars and beach, frozen sand. Jan 13 some auroras, and sky over Bremnes, Sortland, Norway. –11 degree C cold. 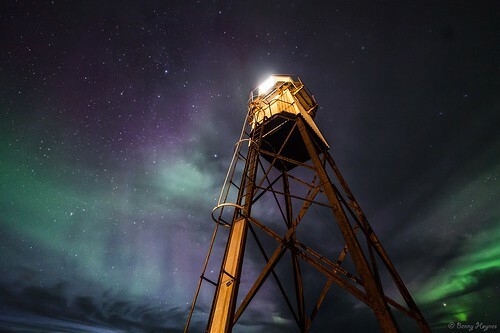 Go to a place where there is minimal artificial light. Streetlights are no good, they will make the snow within the pictures yellow-orange, and not preferred for a good aurora pic. Please be patient. Go out and wait... you may experience hit & miss sometimes, but I can't tell you how many times I sat and waited for several hours, and went home, only to find that the northern lights danced in the sky? Several times ... please be patient! It will pay off! Go with friends, if you can. I spend the time waiting, talking to myself if alone, or with a friend and other photographers. The full moon and snow amount to an incredibly huge difference in the outcome. It will decrease the shutterspeed a lot, and you will get the perfect picture, if the aurora are there, and maybe a tree that casts shadows at the white snow? Well, it`s up to you! 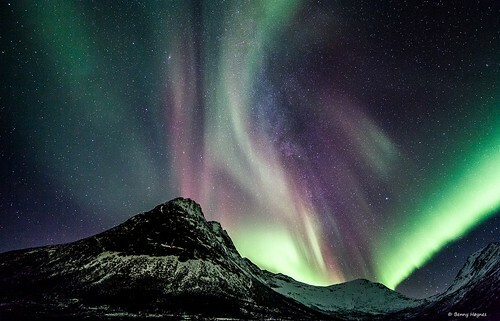 In Norway, the best time to go out chasing auroras is between 17.00-03.00, depending of strength of aurora and weather conditions. Dec 25 2013 Aurora and the lighthouse at Nordmela, Andøya island, Norway. 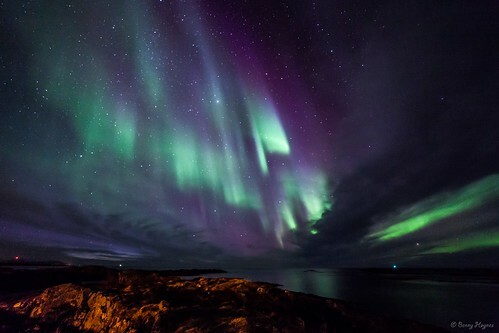 What do Northern Lights SOUND like? 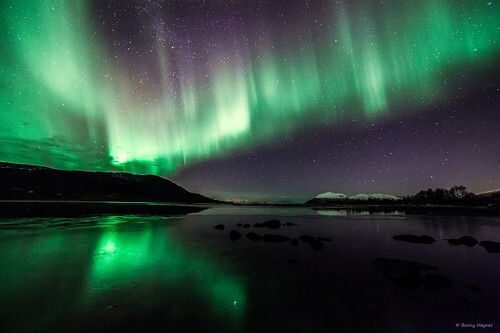 Nov 23 2013 Some northernlights over Roksøy river, Sortland, Norway. This article was originally published in 2014, and updated in 2017.